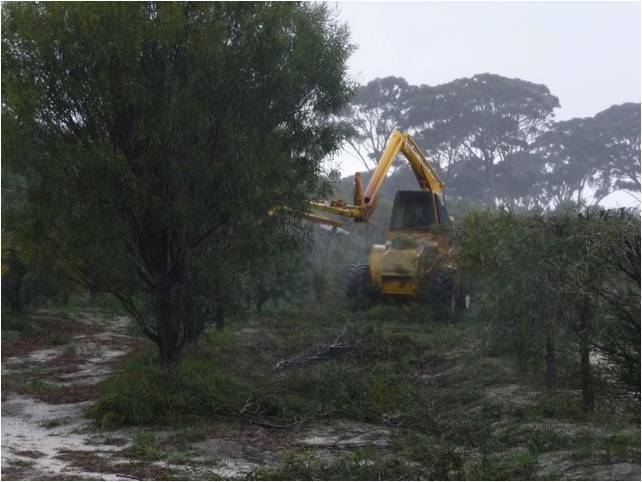 As part of WASP’s ongoing optimisation of its sandalwood plantations a number of bespoke contracting services have been developed. WASP makes a number of these contracting services available to third parties involved in the sandalwood and or related industries (including tree crops and forestry). WASP has developed in-house an inventory mapping solution that identifies and maps out every tree within its plantations as a single asset. 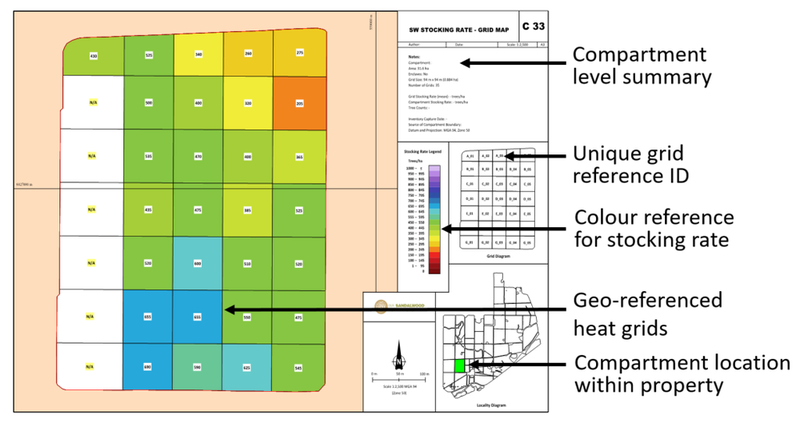 The location for every asset is recorded with this data which when combined with other GIS data provides the asset owner with an exact record of inventory. Currently WASP uses this data to generate georeferenced inventory maps that analysis the stocking density of target trees which in turn assists thinning operations and independent valuation modelling. WASP operates an Afron TH1400 self propelled topper hedger. This heavy duty machine is ideally suited to tightly planted orchards and plantations that require pruning or hedging. Available in a three and four blade configuration WASP’s topper hedger produces a clean and smooth cut that removals excess vegetation. Having started harvesting of the Australian sandalwood industry's first plantation grown wood WASP has invested heavily in harvesting and grading systems. WASP now offers a turn key harvesting and grading solution to other growers in the industry. Due to the difference between native wild wood and plantation grown wood WASP (in consultation with major sandalwood buyers) has developed a sandalwood grading system which is primarily based on heartwood percentages.